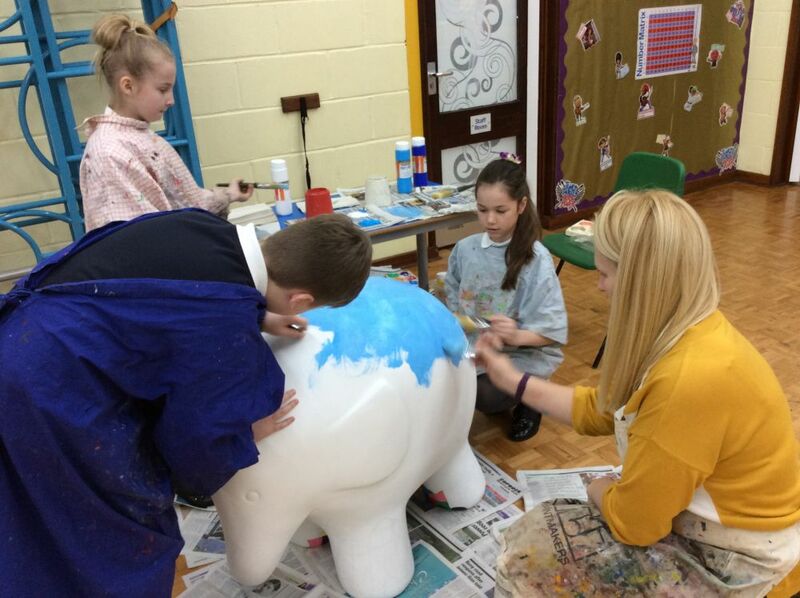 The painting of Elmer has started. 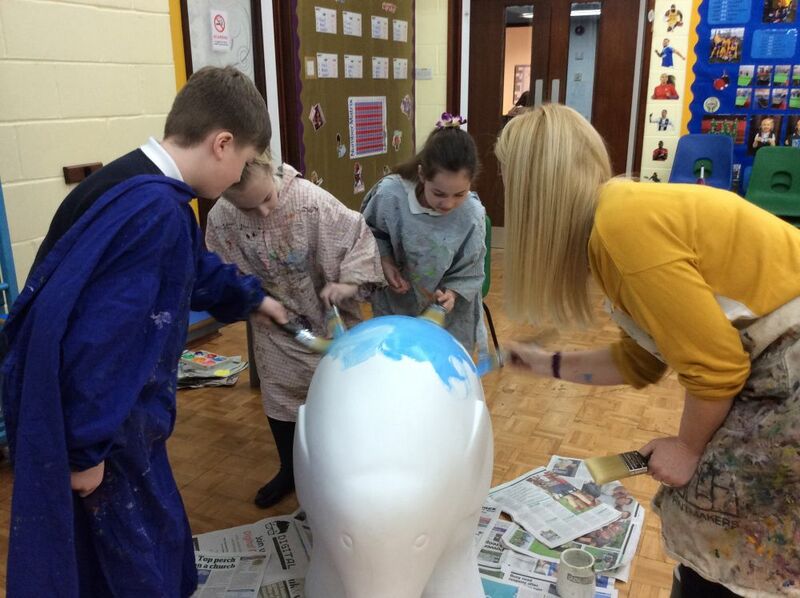 Mrs Fisk has been busy painting the underneath of Elmer, which has been very tricky! 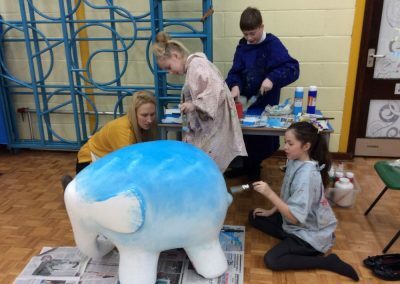 The children have also helped Mrs Fisk paint the top of Elmer (blue) to create the sky. 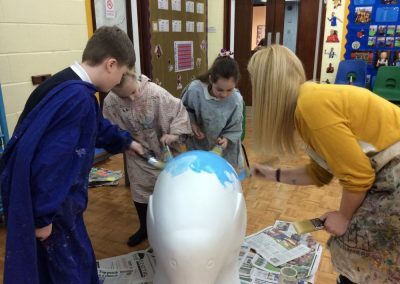 It is lovely to see Elmer coming to life.